The worst of the cold may be over, but winter’s harsh conditions are still at play in Ohio commercial landscapes as maintenance season rolls into full swing. Northeast Ohio lawns and trees are wearing the signs of the unseasonably cold temperatures this region experienced. 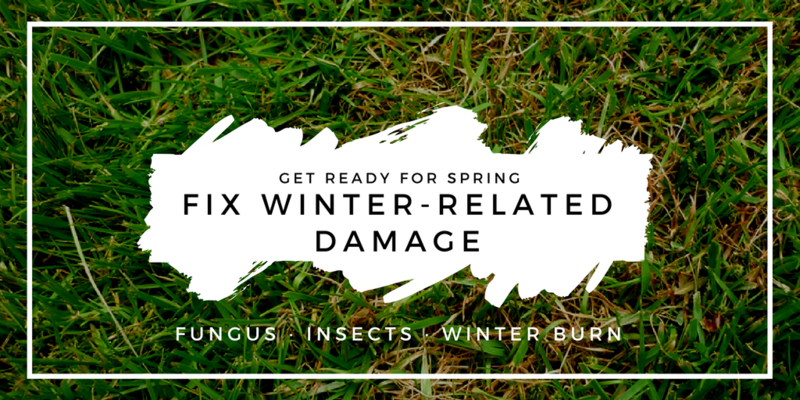 Weather challenges can cause fungus to set in, grubs to pop up from their winter dens beneath the surface to feed, and spring’s above-average moisture is stimulating tree growth. With a comprehensive, sustainable landscape plan that addresses the trees, lawn and insects in an earth-friendly way, you can counteract weather’s effects on your Ohio commercial property. Here’s what to look for, and how a professional commercial landscape maintenance contractor can develop a plan that addresses these concerns and prevents winter landscape damage from setting in on your property. Want to make sure your landscapes getting the best care in every season? Abundant moisture and relatively cool nights this spring and early summer create an ideal environment for fungus like leaf spot, dollar spot and red thread (shown left). Fungus can also give grass a straw-like appearance. 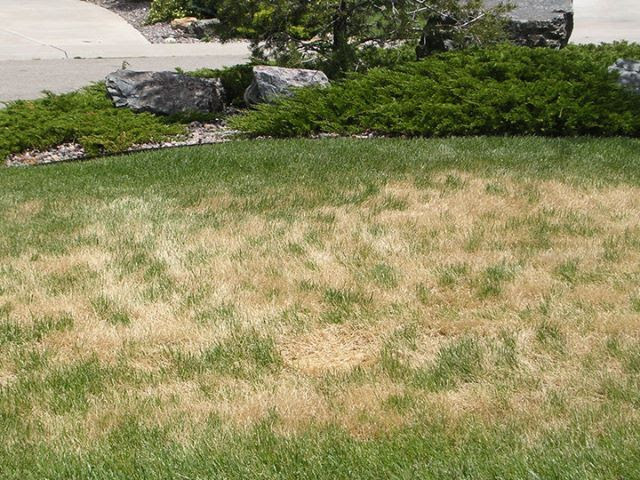 This damage is rarely permanent and can be remedied with preventive fungicide treatments applied to your commercial landscape by a maintenance professional, who can properly identify the fungus and customize an appropriate treatment program for your Ohio property. Wet spring weather can soak growth in Ohio commercial landscapes, leading to grass growing at a rapid rate. This requires regular maintenance, but turf can grow so quickly that a typical mowing may remove more of the grass blade than is generally preferred. In cases like this, we like to cut off one-third or less of the grass blade at one time. 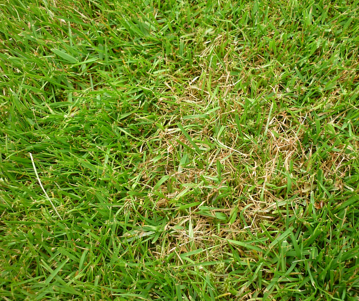 Cutting off more than than during a mowing can cause browning of the turf. A comprehensive, environmentally-minded fertilization program for your Ohio commercial landscape will green-up turf quickly to prevent browning out that is sometimes caused by cutting off too much of the grass blade during spring, when fast growth is a challenge. Talk to your commercial landscape maintenance firm about a tailored turf health program for your property. 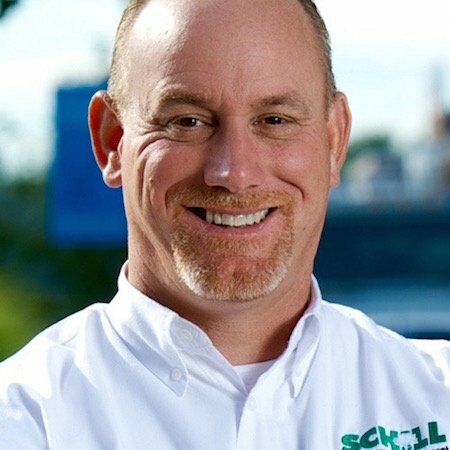 Schill’s bionutritional fertilizers naturally suppress harmful insects, grubs and plant diseases, which helps us reduce our use of synthetic herbicides, pesticides and insecticides by 50 percent. 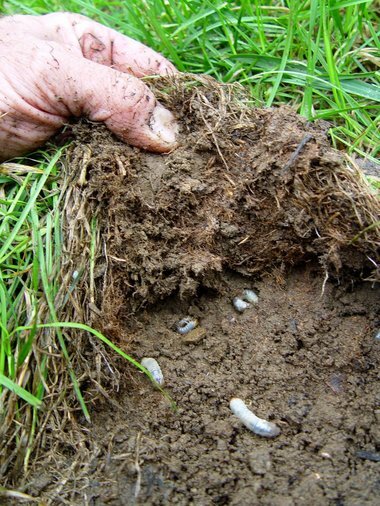 Grubs nestle under the lawn’s surface during winter, where the temperatures are warmer and they can wait out the freezing temperatures. This year in early spring, we are seeing more grub activity than usual, as these turf-destroying pests pop up to feed. A curative, earth-friendly control will treat commercial landscapes for grubs, and reseeding to repair damaged turf. Additionally, implementing grub control before Ohio drought days set in during mid-summer will prevent grubs from infesting a property. Insects infest a lawn when it is under stress. 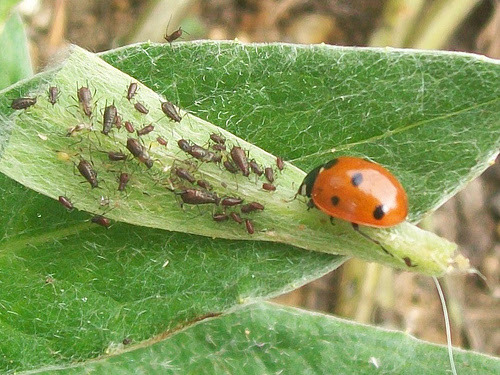 The good news is, because of the moisture this spring, our properties are seeing only minor effects of chewing and sucking insects, including spider mites, Japanese beetles and aphids. The best insect control is an Integrated Pest Management approach, a customized program designed to address specific pest problems on trees, shrubs and turf on your Ohio commercial property and reduce problems over the long-term. The extreme Ohio winter caused stems on many plants to die back practically to the roots. You might notice on roses and taxus, for example, that new, green growth may sprout from much lower on the stem than normal. Stems and trunks protected by the snow, which creates a thermal layer in winter, did not suffer the damage from prolonged below-freezing temperatures. The solution: Cutting back stems and dead branches to allow for new growth is an environmentally conscious way of allowing the plant to regenerate and thrive in your commercial property. We can’t control Mother Nature, but we know exactly how to combat weather damage with a customized landscape program that addresses your commercial property’s needs. Let’s talk about how to keep your property looking lush and healthy all year long. Give us a call any time at (440) 327-3030 — or fill out our simple contact form — and we’ll get in touch with you!